When Henry meets Clare, he is twenty-eight and she is twenty. Henry has never met Clare before; Clare has known Henry since she was six. Impossible but true, because Henry finds himself periodically displaced in time, pulled to moments of emotional gravity from his life, past and future. Henry and Clare’s attempts to live normal lives are threatened by a force they can neither prevent nor control, making their passionate love story intensely moving and entirely unforgettable. 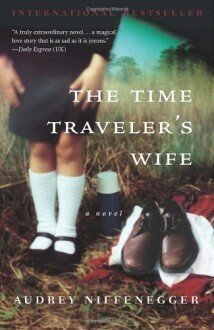 The Time Traveler’s Wife is a story of fate, hope and belief, and more than that, it’s about the power of love to endure beyond the bounds of time. http://oblue.booklikes.com Obsidian Blue 3.0 What is Love?